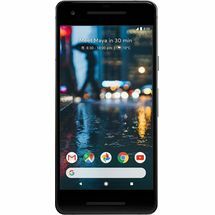 Purchase Pixel 3 XL At Phone Showroom Near Me - Buy Google Pixel 3 XL in Bangalore - Google Pixel Store Bangalore. With a powerful battery, massive internal storage, impressive cameras and innovative features, there’s more to Pixel 3 XL than meets the eye. Whether you’re bar hopping with friends, or you’re going on a team lunch with your colleagues - capture each and every moment in beautiful photos. The cameras of this smartphone are equipped with various features, such as the Portrait Mode to help take Insta-worthy portraits and group selfies. You can also set up a Google account and store your photos and videos online in original quality. Boasting a 3430 mAh battery, the Pixel 3 XL won’t call it a day even after you do. Its powerful battery not only charges fast, but also lasts for almost all day. To top it off, it also limits the battery usage for the applications that you don’t use often. The Pixel 3 XL helps you set timer on applications, as well as turn off visual notifications so you can spend some quality time with your loved ones without distractions getting in the way. In addition, you can also use its Wind-down Mode to turn the screen to greyscale for a good night’s sleep. 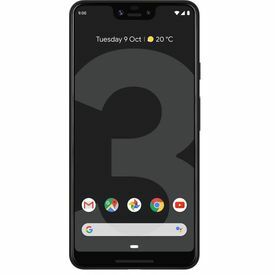 Shop For Pixel 3 XL in Bangalore - Pixel 3 Showroom Near Me - Buy Pixel 3 XL At Google Store NearBy. 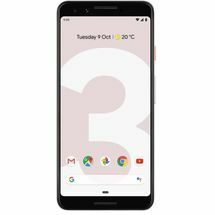 Purchase Pixel 3 XL At Phone Showroom Near Me - Buy Google Pixel 3 XL in Bangalore - Google Pixel Store Bangalore. Product Description With a powerful battery, massive internal storage, impressive cameras and innovative features, there’s more to Pixel 3 XL than meets the eye. Click Photos Like a Pro Whether you’re bar hopping with friends, or you’re going on a team lunch with your colleagues - capture each and every moment in beautiful photos. 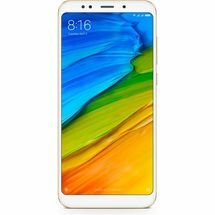 The cameras of this smartphone are equipped with various features, such as the Portrait Mode to help take Insta-worthy portraits and group selfies. You can also set up a Google account and store your photos and videos online in original quality. A Battery That Won’t Leave You in the Lurch Boasting a 3430 mAh battery, the Pixel 3 XL won’t call it a day even after you do. Its powerful battery not only charges fast, but also lasts for almost all day. To top it off, it also limits the battery usage for the applications that you don’t use often. Google Assistant Whether you want to get weather info, search for fast commute routes or you want traffic updates - all you need is a simple squeeze or just your voice, along with the Internet, to activate the Google Assistant. Strike the Ideal Work-life Balance The Pixel 3 XL helps you set timer on applications, as well as turn off visual notifications so you can spend some quality time with your loved ones without distractions getting in the way. In addition, you can also use its Wind-down Mode to turn the screen to greyscale for a good night’s sleep. See the World Come to Life An unknown flower on a hiking trail, or a signboard in a foreign language - use Google Lens to search, translate or identify what you see using the Internet. Expansive Internal Storage This phone offers you 64 GB of internal storage to store as many photos, videos and ebooks as your like. 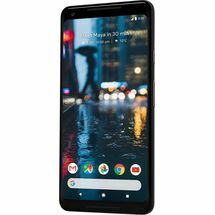 Big and Beautiful Its 16 cm (6.3) OLED bezel-less display with Notch and its 82% body-to-display ratio, offers you an impressive viewing experience.Shop For Pixel 3 XL in Bangalore - Pixel 3 Showroom Near Me - Buy Pixel 3 XL At Google Store NearBy.